Rhyming is super! 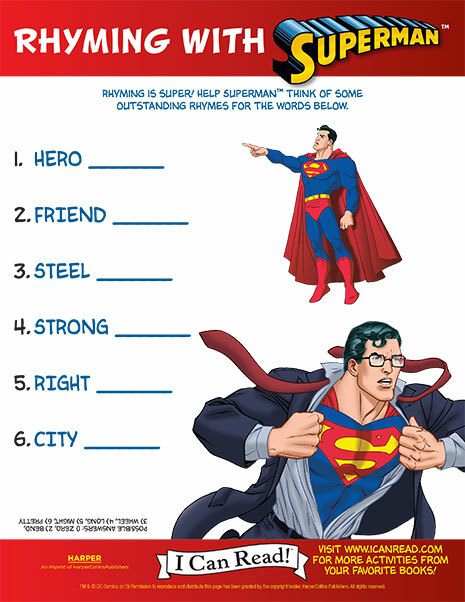 Help Superman think of some outstanding rhymes for the words. 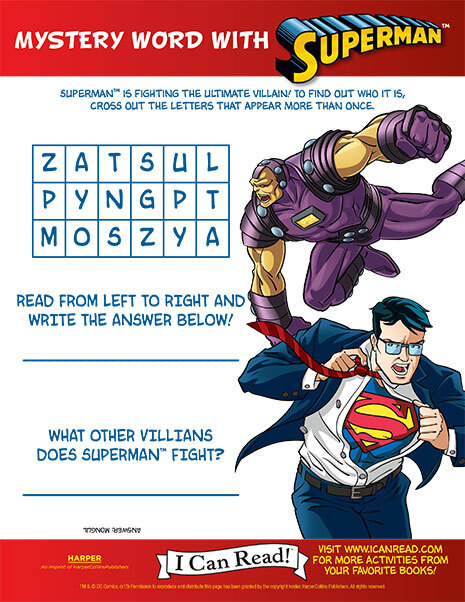 Superman is fighting the ultimate villain! To find out who it is, cross out the letters that appear more than once and reveal the mystery word. 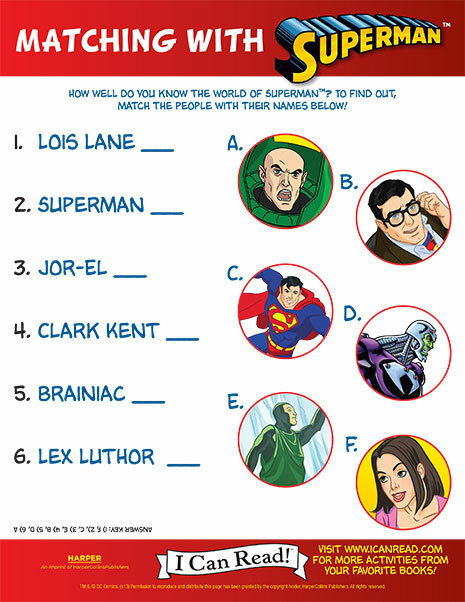 Superman knows a lot of other super heroes, but has gotten their names mixed up! Can you help him with this word scramble? 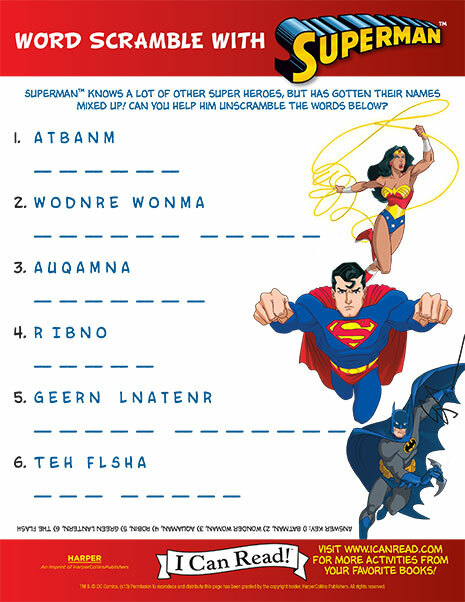 How many amazing words can you make from the letters in “Superman”?